In honor of black history month, a group of black cosplayers have come together to help celebrate and promote diversity in our community. Every day we’ll be spotlighting a different black cosplayer—and we’re encouraging EVERYONE to join in the fun! If you or someone you know would like to be featured, simply post your picture on Facebook, Instagram, Twitter, etc and be sure to include the hashtag #28DaysOfBlackCosplay. 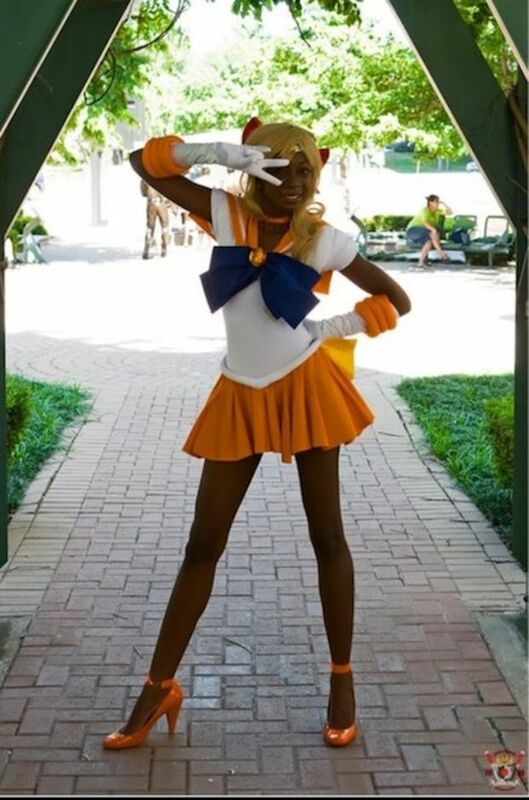 Princess Mentality Cosplay portrays Sailor Venus. There have been several news outlets that have spoken about the movement this month, from AnimeNewsNetwork to CNN and Entertainment Weekly. As amazing and positive as this movement is, it hasn’t escaped the ridicule that Chaka and other black cosplayers have talked about. There have been a few negative remarks in regards to the hashtag: “this is going to separate us more”; “there’s no need for this”; “what if we had 28 Days of White Cosplayers?”; and things of that nature. So I decided to ask a couple of pages participating in #28DaysOfBlackCosplay why they felt it was important for them to take part in the movement. Both pages I contacted are run by women who aren’t black but felt that it was important that they share black cosplayers this month. Heroes United Against Cosplay Bullying, created by Jezzabellgem, promotes equality among all cosplayers. 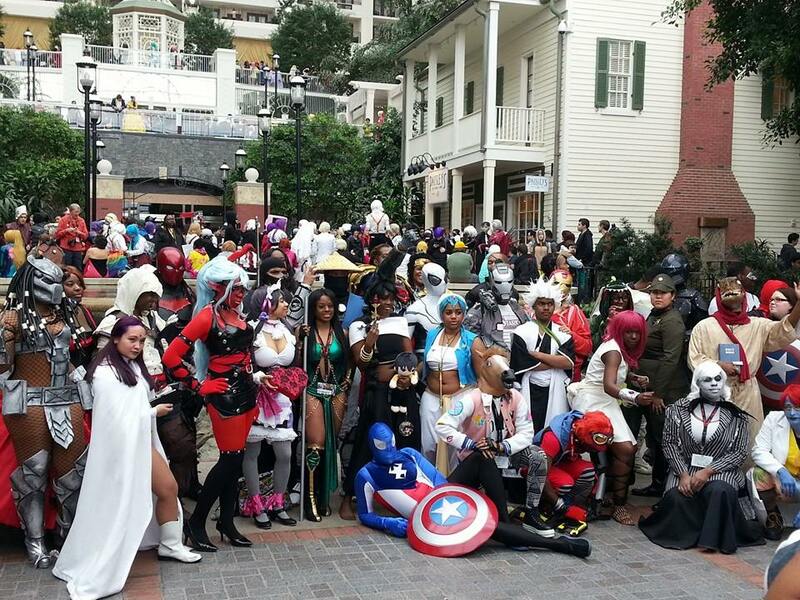 Briana Lawrence (TCG): What made you interested in participating in #28DaysOfBlackCosplay? JezzabellGem: The Heroes United Against Cosplay Bullying page is all about representing diversity as much and as often as we can to the best of our ability, so it only makes sense for us to participate in any good movement (and this is a fantastic one) that promotes talent and creativity for all ethnicities. TCG: I feel like some people who aren’t black feel . . . is uncomfortable the word? Uncomfortable, as in, “Why do we need to do this?” or “This is separating us even more.” We all want equality, but I feel like some people might think #28DaysOfBlackCosplay is doing more harm than good. What are your thoughts on that? JezzabellGem: I think the issue lies with the fact that so many people are not aware of the trolling and racist comments that come flooding in for cosplayers of color. TCG: Oh, I agree. Sometimes I feel like when black cosplayers are getting the spotlight, it’s from negative origins, like being called a ghetto version of a character because of the color of our skin, or blatant use of the n-word, or, in my personal case: fried chicken jokes. And while we defend ourselves, we try and have a positive outlook, but still, the negativity it stemmed from was still there. JezzabellGem: That exactly right—and this movement is a way of celebrating black cosplay rather than having any negative connotations. That’s why we are doing it. That’s why it’s so important, and necessary. 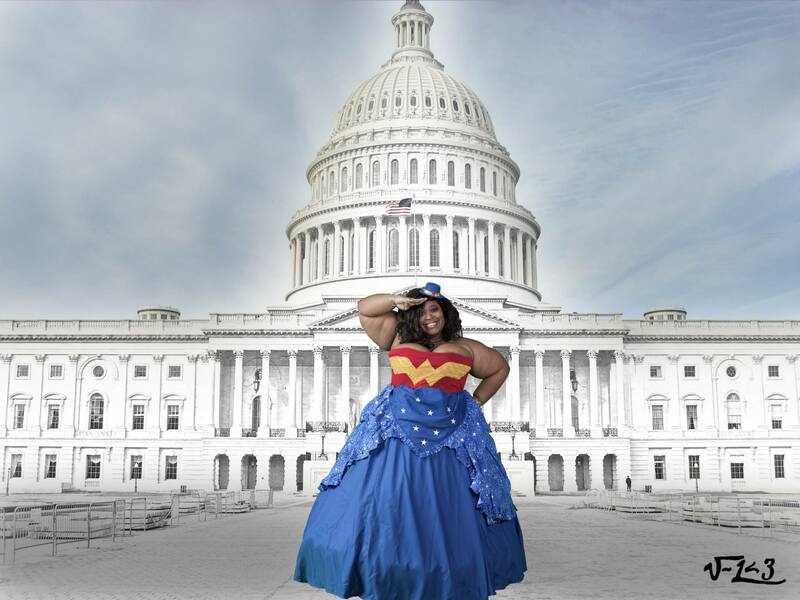 The Curvy Geek, created by Diana Hyjek, is another page promoting positivity and equality between cosplayers. 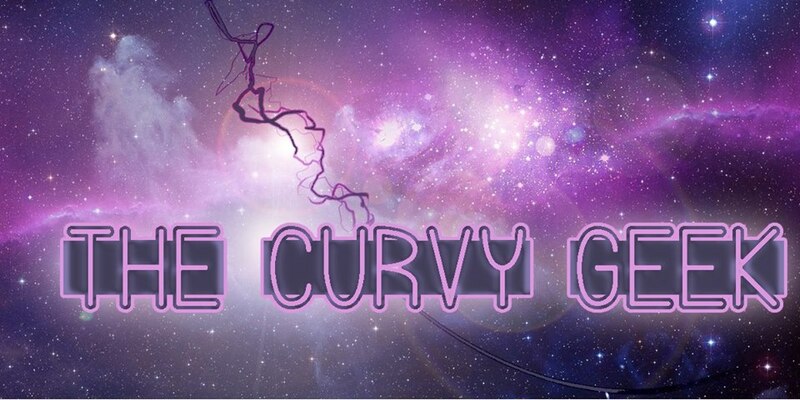 Next, I wanted to talk to Diana Hyjek of The Curvy Geek. She told me that, originally, she was going to make a giant post one day in honor of Black History. However, when she saw me posting about #28DaysOfBlackCosplay and saw me receive a response of, “What if we did 28 Days of White Cosplay?,” she decided to join in full force and has been sharing black cosplayers every day. Diana: The Curvy Geek is a page I created to not only have fun with my fans but to promote cosplay equality. I had already planned on doing a full day of features this month for black history, and then something struck a nerve—blatant ignorance. On your page, you had announced that you would be participating in the #28DaysOfBlackCosplay movement. A “fan” made the statement, “If I did a white cosplay appreciation month, you would all lose your minds,” and was just being rude. So, I decided to take part in the #28DaysOfBlackCosplay movement to show my support and express my lack of tolerance for such views. A fan on my page then told me that we shouldn’t need to do this—and we shouldn’t. But until everyone is seen as equal—black, LGBTQ, Hispanic, white, Asian, et cetera—awareness and appreciation is necessary. TCG: Someone actually told you that you shouldn’t need to participate in the movement? Diana: They said that this kind of thing shouldn’t have to be done, and I said until everyone is equal—women, black, white, Asians, gays, lesbians, trans, et cetera—I am going to participate and speak out on these issues. TCG: We all want equality, but some people might think #28DaysOfBlackCosplay is doing more harm than good. What are your thoughts on that? Diana: I think that notion is ludicrous. There is so much work left to do in relation to not only black equality, but women’s equality, LGBTQ equality, et cetera. Those who are “uncomfortable” with the fact that we are bringing attention to the situation need to stop sweeping the issues under the rug. I feel like they think, “If I don’t see it, I don’t have to acknowledge or deal with that.” That is what is going to inflame the situation. We need to acknowledge it . . . and we need to try to fix it. By sweeping it under the rug, you are only causing those involved to feel resentful, hurt and unwanted. No one should ever have to feel that way. As a black cosplayer, #28DaysOfBlackCosplay is a movement that means a lot to me. We all want equality, but part of striving for equality is making people feel like they deserve equality, and the sad reality is that some black people feel like they don’t deserve it, because they feel like they’re less than everyone else. In the sense of cosplay, there are black people who feel like they can’t cosplay because of the color of their skin. There are plenty of times where words like “ghetto” are flung around, or even harsher comments that decide to refer to a black cosplayer as the n-word version of a character. In my personal case, I was told to “go and fry some chicken,” just for being black and holding a frying pan as Princess Peach, who does use a frying pan as a weapon. These things happen, and these things do make black people feel like they can’t take part in this community. If someone tells me that I’m not worthy of something enough times, I’ll start to believe it. I have believed it. I’ve believed that I wasn’t worth it because of my race. I’ve believed that I was ugly. I’ve been told to “stop acting white” because I like anime, video games, and cosplay. And I know a lot of others have felt the same way because of the color of their skin. Those people need to be shown that they are beautiful, that they’re worth it, that they’re equal. It’s great to think we all should be equal, but there are plenty of black people out there who think that they shouldn’t be because of the crap that gets flung at them; who think that they can’t be. Equality is great, but you have to want it, and if you feel like you’re beneath everyone around you, you’re going to think you don’t deserve it. That’s what #28DaysOfBlackCosplay is about, and it’s so wonderful to see so many people taking part in it. This encouragement is just a start to what we hope to accomplish within the cosplay community, so that everyone can feel comfortable with who they are and truly enjoy cosplay. Check out #28DaysOfBlackCosplay on Twitter, Facebook, Tumblr, Pinterest, Instagram, and anywhere else that uses hashtags! We shouldn’t NEED 28daysofblackcosplay… but we DO. We do need it. Where’s the 28daysofwhitecosplay? Well, we have that already. It’s usually referred to as 365daysofwhitecosplay though. In a group that is so often discriminated against and marginalised… I mean, almost every single nerd/geek I know has been picked on during school for having their interests, I am always so surprised to see such intolerance. We need 28daysofblackcoslplay, and 28daysof____cosplay until every day is a day of all cosplay. ALL cosplay. That’s the exact point that Diana from “The Curvy Geek” made when I was talking to her. We need to promote and uplift people, especially since there is so much hate that happens all because their skin color is different. This movement has been so great because I’ve seen so many new cosplayers who I didn’t even know about, cosplayers who have been doing this for a while but didn’t want to step up, and cosplayers who were like, “Hey I can do this, I’m going to do this,” and it’s amazing. The first damn comment on the curvy geeks share of this story is asking “would 28 days of white cosplay be racist”. Gah. I think my brain just broke, I can’t even Right now. If I respond it would probably end in a ban, but I’m so angry at people like that. WHY? When I talked about it on my page the first day I got a similar comment, along with something like, “We should be equal,” or something like that. I explained how, yes, we do want equality, but we also need to show these diverse groups why their valuable, because a lot of terrible comments do get said and discourage people. Working toward equality is important, but its also important to show people that they’re worth it 🙂 Just because we’re focusing on a diverse group doesn’t mean we’re forgetting about everyone else.